Baby switching is a horrible thing. All those months you dream of holding your baby, it's hard to imagine coming home with a baby other than your own. Some hospitals offer high-tech ways to keep your baby from being switched. They use footprinting, banding, tags that beep, like the leather coats in stores, personnel who wear certain types of outfits, and more. Be sure to ask on your hospital tour what your hospital does to help ensure this doesn't happen. Rooming in with your baby prevents your baby from leaving your side without your blessing. It ensures that you always know where your baby is at all times. It also allows you the most sleep, a chance to learn more baby care techniques from the staff, and get to know your baby sooner. Ask your pediatrician to do any baby exams or simple procedures in your postpartum room. This lets you watch the exam and ask questions as they arise. While you may have time for questions later, most moms and dads find that they have more questions and a better understanding when it's done in conjunction with the exam. Sometimes even just - what's that test for? If your baby has to go anywhere, go with your baby. If you are unable to go with your baby, be sure that someone does go with your baby like your partner. This means that your baby never leaves your sight and allows you to have a say over tests, procedures, and even minor-seeming details about your baby's hospital stay. If for some reason you and your baby are separated, be sure to ask to see the baby's name tags before your baby leaves and when your baby returns. You should also ask to see the official ID tag of the person requesting the baby. You should also make a mental note of what your baby looks like. This can be helpful in identifying your baby. This isn't always possible, but something to note might be how much hair, birthmarks, etc. 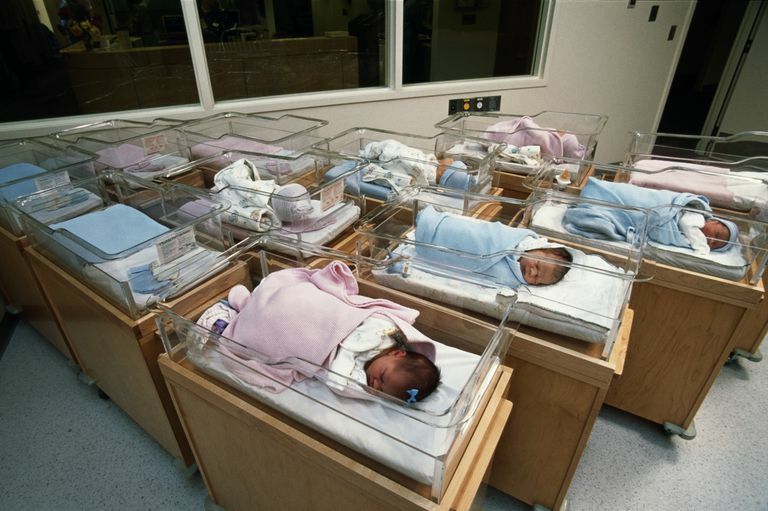 Hospital baby switching isn't a problem for women having home births or birth center births. Some hospitals even offer Labor/Delivery/Recovery/Postpartum (LDRP) Rooms, where you spend your entire visit in the same room, helping to reduce this even more. This likelihood of your baby being switched is very small, but it doesn't take massive amounts of technology to protect your baby from being switched. Listening to moms and watching the babies are all that is really needed.